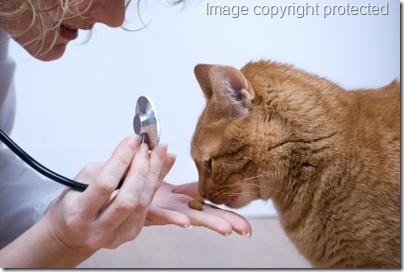 The cat news in the UK, today, is that conventional vets are saying that pet insurers are putting animals at risk by encouraging owners to believe that homeopathic vaccinations are OK. The big pet insurers – Direct Line, Virgin and Churchill – tell people who want to take out insurance for their companion animal that they accept homeopathic vaccines as an alternative to conventional vaccines. They do this, they say, because they believe (correctly) that some animals react badly to conventional vaccinations. The reaction can be life threatening. They also say that they only accept homeopathic vaccinations if a vet recommends it. It sounds reasonable to me. I suspect that some mainstream vets are more concerned about losing some of their bread and butter business. Note: three yearly vaccinations are being recommended rather than yearly, yet vets in the USA are slow to take up the new protocol. Pet owners are more likely to do some internet research before vaccinating their cat or dog. This invariably leads to less vaccinations. However, your vet is in charge and will advise. See also: (a) Homeopathy for cats and (b) cat vaccination recommendations. Conventional vets believe that homeopathy is mumbo jumbo (that is not a very scientific term, sorry). The same goes from doctors. Homeopathic vaccinations are safer and much easier to administer. They are called homeopathic nosodes. They can be given to puppies and kittens much earlier than conventional vaccinations and can be given to pregnant cats and dogs1. Personally, I lean towards administering less vaccinations, or minimising them. I think they can be dangerous – cancer at the site of the jab comes to my mind – and for older cats they can be an unnecessary risk. I am thinking of routine boosters, which are money spinners for vets. I am not arguing that vaccinations are not good. Far from it. They can be obligatory – rabies in the USA – and save many lives. It is just that they are not some magic panacea for all major diseases. Charlie, my cat is not vaccinated against anything. That may shock some people. He is protected by his own immune system and the fact that in the area where I live major cat diseases are controlled by widespread vaccinations. Yes, I am riding on the back of other vaccinations but for an older cat that makes sense because they have usually had years of vaccinations and are therefore immune. If you want to explore homeopathic nosodes in the UK, I’d Google “UK homeopathic vets” or something like that. What are your experiences with cat vaccinations? Complete this form. This entry was posted in Cat Health, Cat News, vaccinations and tagged cat vaccinations, homeopathy for cats by Michael Broad. Bookmark the permalink. Michael, i have never ever vaccinated my 2 cats after the initial inoculations received as kittens.Its been 5 years since my female cat Matahari aqnd 3 years since tomcat Matata last received their annual anti rabies/Etc inoculations.Both my cats are “Indoor Cats” and hence their own immune system protects them as they don’t come into contact with other domestic cats .I have taken matahari to the Vet for other injuries but never ever for the “annual mandatory vaccines”.Tomcat Matata once severely cut my hand during a cat fight with his dam matahari and i didn’t get infected with “RABIES”. What i am trying to prove is that house cats confined to homes are safe from external viruses as well as the dreaded rabies.Its all a question of “Cat Paranoia” that burdens most house-hold pet cats with unnecessary injections from the Vet. I agree with you. I think the vets have a role to play here. They tend to promote yearly vaccinations which is overdoing it and they can affect the cat’s health. It is a way for a vet to get the cat in and make some more money beyond doing the vaccinations. I am know I am cynical but there is certainly some of that going on. One perspective on this- and it has to do with requirements for adopting a cat in the US. I only have direct knowledge of my one adoption adventure. But, I’d say that this might be typical of organizations other than the one where I adopted Ms. Cat. Background: I had to go through quite a lengthy online process to be approved to adopt a cat, any cat, from the organization that held Ms. Cat. A very detailed questionnaire, include some trick questions like “how much to you think it costs per year to maintain a cat?”- I say trick questions, b/c most of the a,b,c,d etc. options were incredibly low. I had to provide references, two people they could contact. I had to state the name of the vet I planned to use (or the vet I used, if I had other cats). I am offering a bit of perspective as to how adoption organizations behave in the US. I don’t know how things are in the UK. You got Charlie, inherited Charlie through family. So, you didn’t have to deal with the kinds of questions potential cat adopters do here.